After I read Book I of Mere Christianity, I’ll admit that I felt pretty confident about my level of comprehension. I thought, “I’m starting to understand C.S. Lewis.” Understanding, for me, means that I could teach the material to someone else. It seemed like I had a reasonable handle on Lewis’ arguments, although I wonder how I would deal with questions from a student that touched on the philosophical, especially questions about the moral law. Christianity is a thinking person’s religion. You may come to Jesus as a child, but as an adult there is no need to oversimplify. Lewis certainly doesn’t. One of the themes in Book II is: real things are complex. And so is Lewis’ writing in this section as he gets into deeper philosophical waters. It feels like Lewis shifts into a higher philosophical gear. In Book I he had a few points to make and he took his time laying out his argument. In Book II, there is no time to waste. We’re now in the deep end of the pool. There is a graciousness to C.S. Lewis that is attractive to me. He writes, “If you are a Christian you do not have to believe that all the other religions are simply wrong all through.” I think sometimes we take a “we’re right, they’re wrong” approach into the world and our dealings with people of other faiths. Lewis will say of believers in other gods, that they are closer than we might think to belief in the Christian God. Intriguing, it feels like C.S. Lewis is both black & white and grey. Here is a first attempt to try and understand Lewis’ ideas in Book 2.
there are people who don’t believe in God. 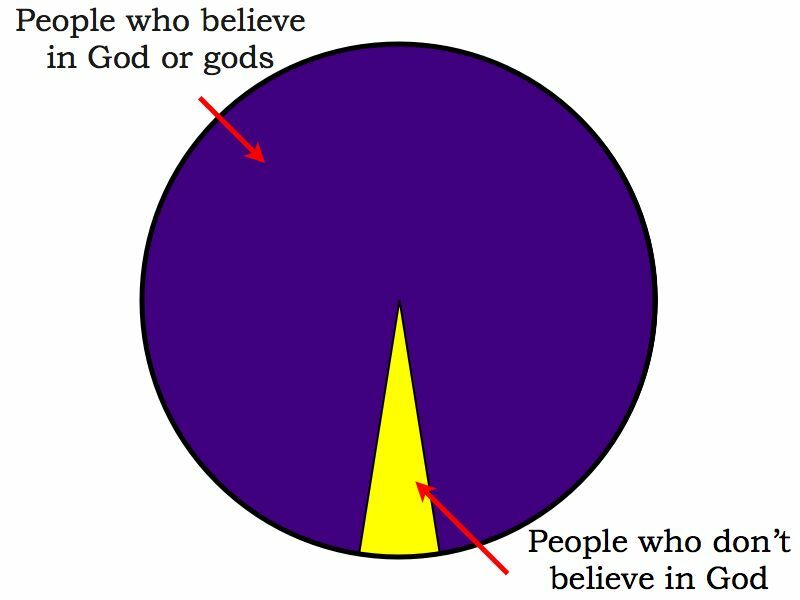 It’s a minority of people who do not believe in God in some way. The people who do not believe in God we often labels as atheists. Lewis refers to them as “Western European Materialists.” From their point of view, there is no intelligent power behind the creation of the world. Wrestling with this idea of justice—was it simply a preference or something else?—was what brought him to God. He will come back to this in the next chapter. Lewis divides those who believe in God or gods into two groups. 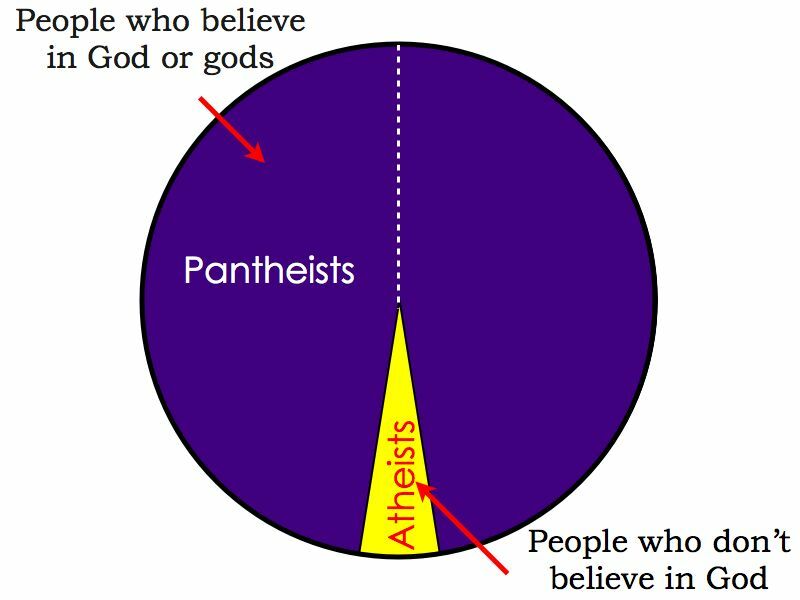 On one side you have people who believe that God is beyond good and evil. The universe almost is God. Even “bad” if you could see it from the divine point of view isn’t bad when you see that it is all part of God. In other words, the closer you get to God or the divine, the less you make distinctions between good and evil. The other group of believers in God say that God created the world and that He is separate and distinct from his creation. The world was made good but has gone terribly wrong. There is good and bad; in this world there are things that are contrary to God’s will. This group is made up of Jews, Muslims, and Christians. It’s interesting/sobering/saddening to observe how closely united Jews, Muslims, and Christians are philosophically (in fact, each of the three claim Abraham from the Hebrew scriptures as the physical and/or spiritual fountainhead of their group), but how much conflict has existed amount these groups at various points throughout history. Lewis says atheism is too simple. But he also says there is a “Christian” view that is also too simple, which he wants nothing to do with. Reality is complicated and not what you expect. He gives the example of the planets. They are all different sizes in no apparent order and spaced differently, some with moons others without. The complexity of reality is one of the things that drew Lewis to Christianity. Like the world, Christianity isn’t what you expect. It has the element of the real about it. I have two reactions here. First, is that while I’m on board with Lewis, I’m not sure how well this argument works on me. I need to think about it some more. Second, Lewis doesn’t really spend much time explaining how the atheist view doesn’t work. I wonder if he feels it nearly goes without saying: “You want a simplistic way of seeing a complicated reality? Then be an atheist. Think of this world as a random accident.” Is he dismissive or just so convinced about his way of seeing things that he can’t think on it at all? Again, Lewis spends no time on how atheists view the problem of evil. Instead he looks at how (in the broadest terms) two groups of believers in God talk about evil. The Christian approach: This is a good world gone wrong. The Dualistic approach: Good and bad are fighting it out. And from there I pause to say that I need to spend more time with this chapter. I understand the words Lewis uses, but not sure I completely follow him. I think the basic point is this: as soon as you say that one of the forces is good and another bad, you’re holding out a standard to which one conforms and another doesn’t. Now we begin to talk about God’s will. The question: Is this world how God wants it? If so, what kind of God do we have? If not, how can the world be other than what His absolute power would have it be? The answer for Lewis is free will. I like Lewis’ illustration of a mom who tells her child she wants his/her room cleaned up. The child does or does not clean their room. In both cases, it is the mom’s will that the room is clean, but the child is part of the answer. There is a tension between God’s sovereign will and man’s free will. To the extent that God dictates how everyone and everything will be then man is not free. To the extent that man can do whatever he wants, then God is not in charge. Both things seems to be true: God is the boss and we are able to say no to Him. For me, natural disasters are part of a broken world, not God punishing people. Lewis offers four ways of knowing that lead him to say Jesus comes from God into this enemy-occupied territory. 1. We have conscience: There is that thing inside us that tells us when we betray a holy standard. “One part of the claim tends to slip past us unnoticed because we have heard it so often that we no longer see what it amounts to. I mean the claim to forgive sins: any sins. Now unless the speaker is God, this is really so preposterous as to be comic. We can all understand how a man forgives offences against himself. You tread on my toes and I forgive you, you steal my money and I forgive you. But what should we make of a man, himself unrobbed and untrodden on, who announced that he forgave you for treading on other men’s toes and stealing other men’s money? Asinine fatuity is the kindest description we should give of his conduct. Yet this is what Jesus did. He told people that their sins were forgiven, and never waited to consult all the other people whom their sins had undoubtedly injured. “He unhesitatingly behaved as if He was the party chiefly concerned, the person chiefly offended in all offences. This makes sense only if He really was the God whose laws are broken and whose love is wounded in every sin. In the mouth of any speaker who is not God, these words would imply what I can only regard as a silliness and conceit unrivalled by any other character in history. One of the things to admire about Mere Christianity is the way Lewis answers questions people ask about Christianity. He is not doing Q & A, but in developing the story of how Christianity offers the best explanation for why the world is the way it is and what God is doing about it, he ends up answering important questions. The narrative here leads us to Jesus and to the cross and we get Lewis’ answer to the question why did Jesus have to die? So in this chapter, Lewis talks about Jesus’ death. 1. He thought he had to know why Jesus died. 2. We know that Jesus’ death has changed our relationship to God though we don’t know how. 3. We don’t really need a good explanation. That’s a pretty important distinction. Among the key quotes in this book. In a lot of us, I think, there is this idea that there is something we can do to get God to love us. Lewis really has a grasp of grace and the gospel. As I read this chapter, I couldn’t help thinking about my upbringing. I grew up in The Salvation Army, which is to say that I am a preacher’s kid. My parents were Salvation Army officers (the term used for ordained Salvation Army pastors). While the Salvation Army is a part of the Church, many people know it through the filter of a thrift store or that bell-ringer outside the store at Christmas or a place to go when you need a helping hand. The non-practice of communion comes out of The Salvation Army’s history and the circumstances of its founding. William Booth, the founder, was preaching and working in the East end of London and many of his converts were, to use an impolite though accurate word, drunks. You couldn’t very well serve communion wine to an alcoholic and there weren’t acceptable non-fermented options. The fact that processes of pasteurization and purification have come along which mean we now are able to serve grape juice has not changed The Salvation Army’s position on this. The Salvation Army does have a practice called the love feast, meant as a substitute for communion. In my opinion it is a poor substitute and I’ve never really understood its continued position on communion. This is one of the reasons that I have left the denomination of my youth and find myself in fellowship with other segments of the Church. It’s interesting to me that the church of Nancy’s childhood didn’t seem to push the issue of baptism, so that while we both came to Christ as children, it was when we were adults that we were baptized one Easter when we were serving at Anaheim First Church of the Nazarene.